Texting My Pancreas: #DBlogWeek: Change The World. Today's prompt: Let’s kick off Diabetes Blog Week by talking about the diabetes causes and issues that really get us fired up. Are you passionate about 504 plans and school safety? Do diabetes misconceptions irk you? Do you fight for CGM coverage for Medicare patients, SDP funding, or test strip accuracy? Do you work hard at creating diabetes connections and bringing support? Whether or not you “formally” advocate for any cause, share the issues that are important to you. There are times where I find it difficult to focus my diabetes advocacy efforts. There are so many issues and causes that I know are important and I have a lot of feelings about so many of them. It's becoming apparent that, for me, it's best to narrow it down and do a few things really well (or at least, be able to put enough effort into them to make some kind of impact) than say yes to everything but not do any of it particularly well. A more concise way to say that: "work on a few things and RT the rest". I think my diabetes advocacy passions will always default to the psychosocial and emotional aspects of living with diabetes, but the more I learn about access issues - to test strips, to continuous glucose monitoring, to insulin pumps, to insulin itself - the more I feel the need to do something about making sure that everyone with diabetes has access to the same life-saving medications and technologies that I currently do. I am incredibly lucky/privileged to be able to use a brand new insulin pump; to wear a CGM at all times; to have an insurance plan that covers the majority of my diabetes-related health costs (even if I have to fight them for that coverage sometimes); to have an adequate supply of insulin in a refrigerator and pump supplies in the drawer(s); to be under the care of doctors who work with me to decide how to best care for myself; to have access to the internet and the support of so many people who understand, intimately, what this life with diabetes is like. Find out more about Diabetes Blog Week here. You have always been a wonderful example to me of what a D advocate looks like. Thank you. 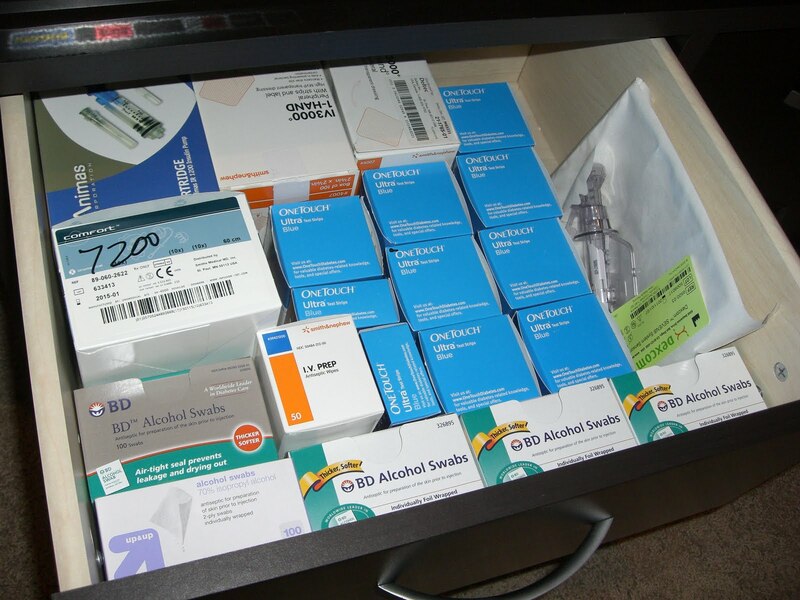 Sorry to detract from the wonderful post, but that is a beautifully organised diabetes drawer- teach me your ways!! Can't wait to hear about what's coming.